For the next few weeks we will be learning about our valuable community helpers. We begin with the health care profession. Sroli: The baby needs band aids. Abigail: This baby has a fever. Evan: I'm just taking care of the baby, it's sick. 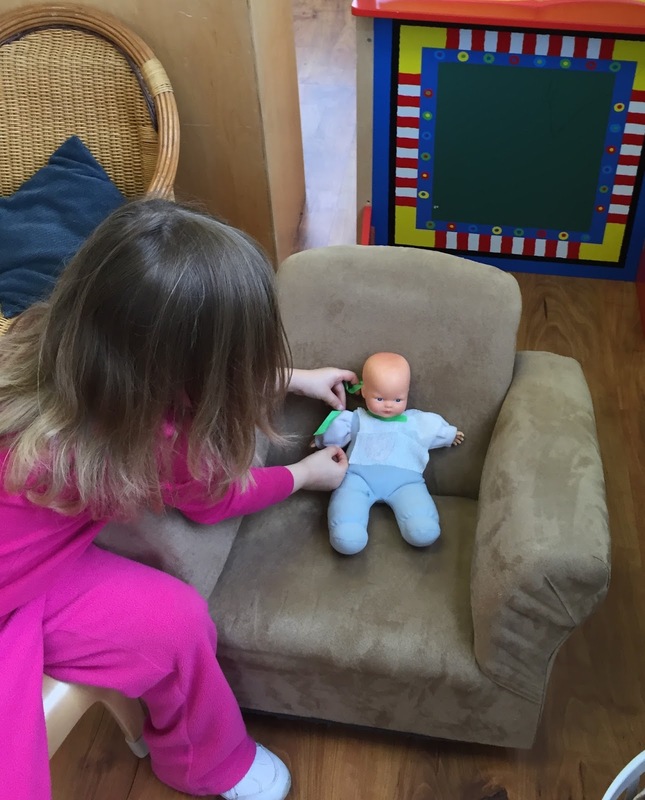 Abigail: The baby is at the dentist, it is getting it's teeth cleaned. Olivia: Doctors have tools to use for taking care of people. 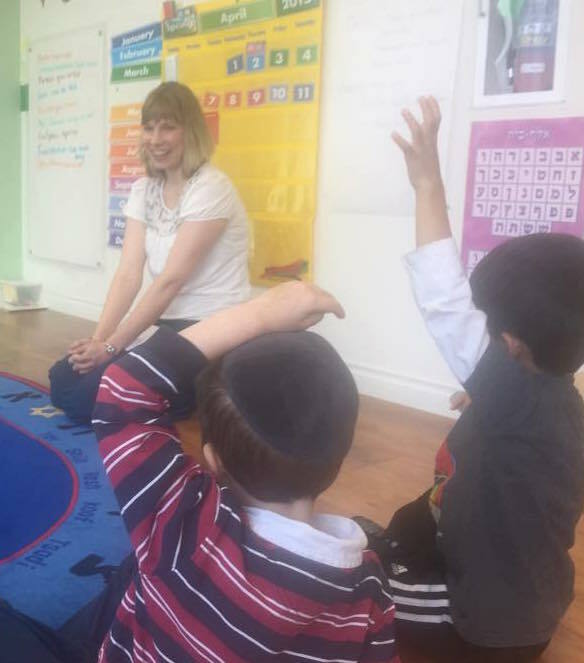 Natan's mom Sara came to share with us how she helps our community. Sara is a sports medicine doctor, she takes care of athletes. 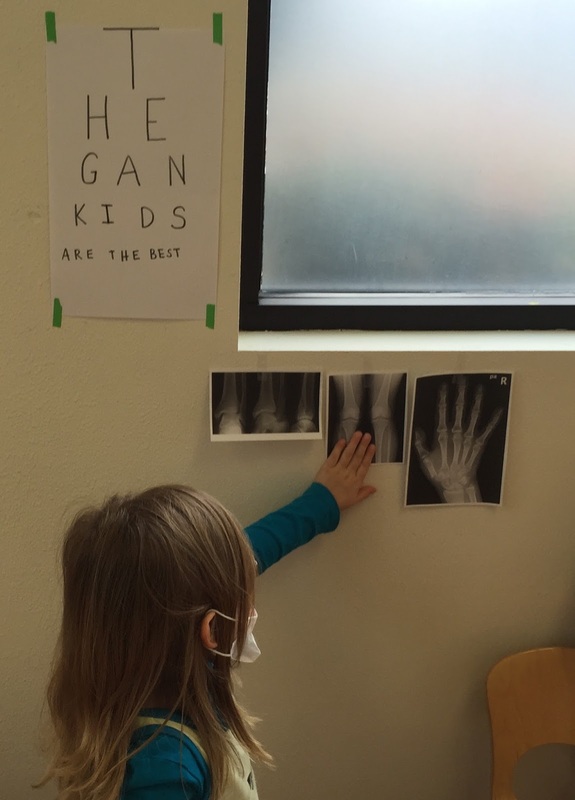 She also gets to look at bones as a radiologist. Sara shared pictures of x-rays with us. We made our own doctor's bags. Natan: Dogs need doctors too. Morah Katie: Do you know what a dog doctor is called? Clara: I'm a nurse and I am helping the doctor and the baby. 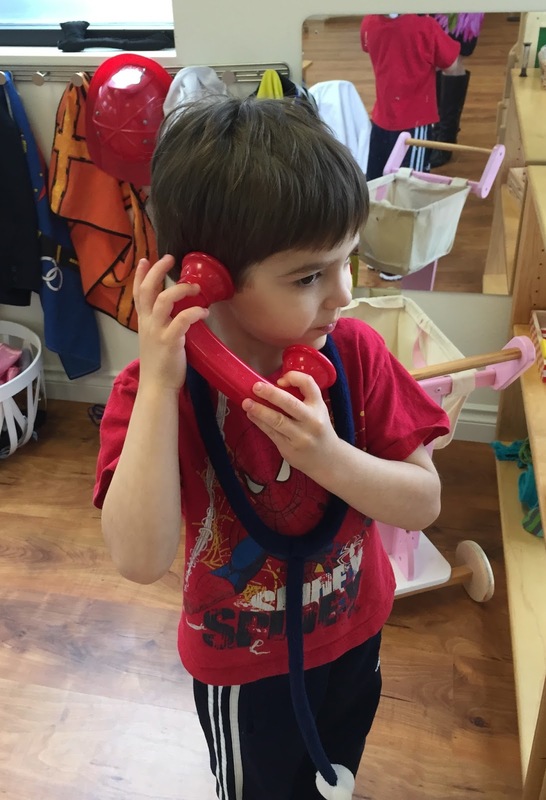 Natan: I am taking a call. It is an emergency. Doctors do that, take care of emergencies. Firefighters are important community helpers who put out fires, help in emergencies and help keep people safe. We created firetrucks from old boxes. The Gan firefighters were able to help put out a fire at a house. We have a community helper song. The first six lines are the original song. The children quickly began to think of many more community helpers. We added their ideas and extended the song. So far we have eighteen important community helpers. One important community helper is a favorite: The trash collector! We have a favorite book, I Stink by Kate and Jim McMullan, which we happily listen to everyday. Morah Katie: What shapes will you be using to create your own trash truck? If you would like to share with us how you help our community please let us know, we look forward to our guest speakers!